BERLIN -- BMW may increase dividends to as much as 40 percent of profit in coming years if earnings continue to rise, a German newspaper reported on Saturday, citing Chief Financial Officer Friedrich Eichiner. BMW aims to pay out "between 30 and 40 percent of profit" to shareholders, the Frankfurter Allgemeine Sonntagszeitung quoted the CFO as saying in an interview. The company has proposed to pay shareholders 1.5 billion euros ($1.94 billion), or 30.7 percent of 2011 profit, with 2.32 euros per preferred share and 2.30 euros per common share. "If our pleasant business development sticks to planned targets, then it could become more in future," Eichiner was quoted as saying. Last week, BMW reported record first-quarter profit that rose nearly 19 percent to 2.13 billion euros ($2.80 billion) from 1.8 billion euros a year earlier, surpassing even the most bullish analyst estimates. 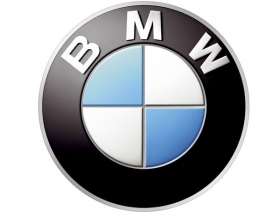 Sales at BMW Group rose 6.1 percent in April to a record 145,505 vehicles, driven by demand for the core BMW brand in nearly all regions of the world. In the first four months, the group sold 571,040 vehicles, a rise of 9.8 percent over the same period in 2011.